A calamity can strike any moment and can easily disrupt food supply wherever we are. That’s why JFM Foundation is planning ahead in order to provide immediate sustenance to victims of disaster or calamities. We want to ensure we are equipped and prepared to provide emergency food to families affected by disaster. 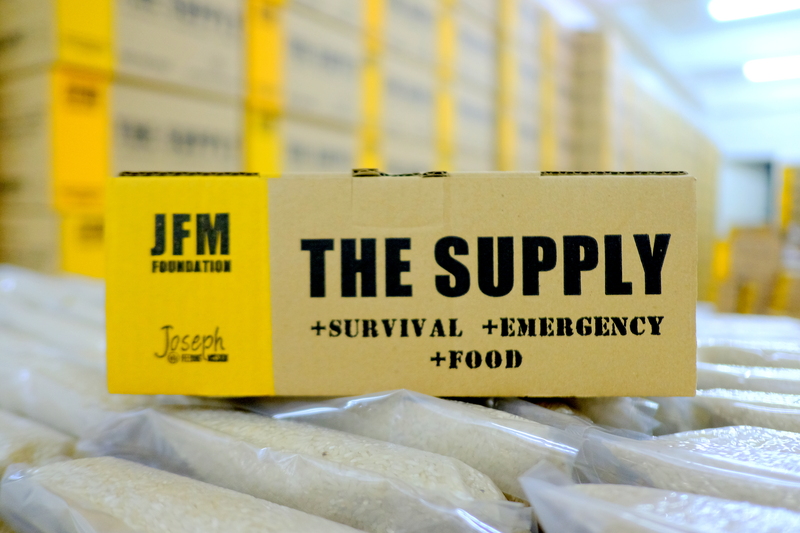 We are currently preparing thousands of EMERGENCY FOOD BOXES that will feed many families in times of calamity. In the Bible, Joseph the Dreamer was known as someone who prepared and shared food in time of famine. He also was trusted by the Pharaoh because of his integrity, wisdom and effectivity in everything that he does. This is the heart of our foundation. We want to be used by God to feed the hungry and at the same time be a trusted servant like Joseph, to be EFFICIENT, EFFECTIVE and a GOOD STEWARD with the resources God has entrusted us. Based on our experience in our years of conducting Relief Operations, we saw how the "immediate availability" of food supply is crucial and important whenever a calamity strikes. 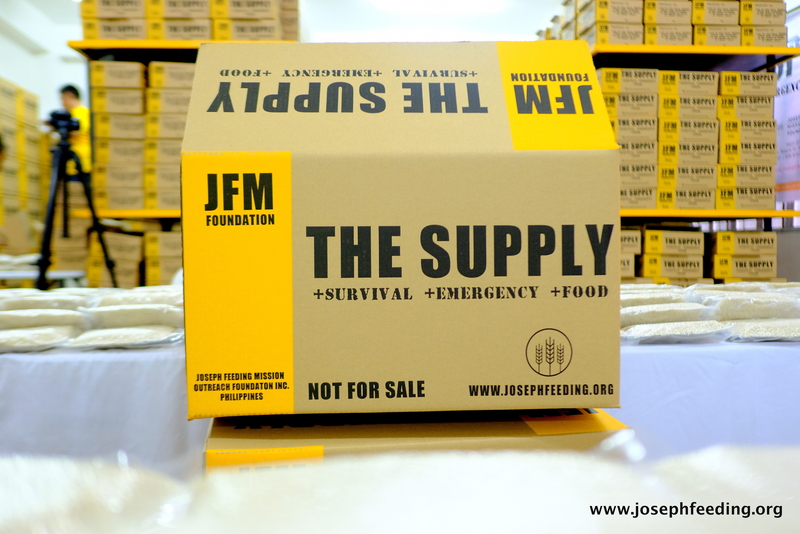 With a Disaster Preparedness Initiative like JFM’s The Supply, we are going to save precious time, money and resources. 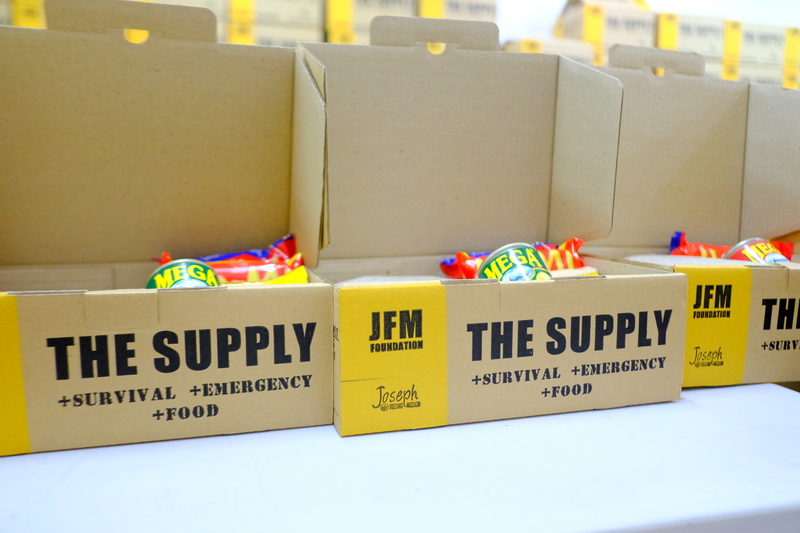 With the food boxes readily available at our warehouse, we no longer need to rush and go to the grocery or find stocks of food when calamity strikes. We will also save time in REPACKING the supplies. No need to spend a day or two in mobilizing volunteers & repacking the goods. 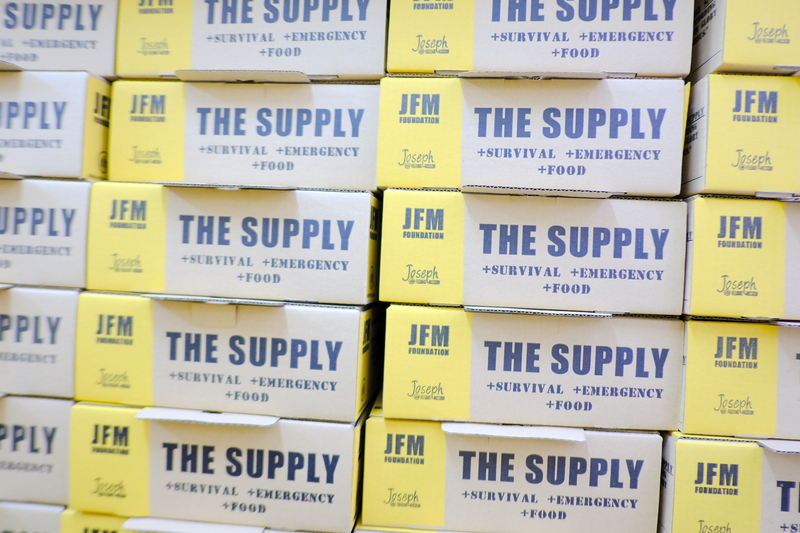 As soon as the need arises, our pre-packed food boxes can be immediately transported to affected areas. We all know that when the demand is high, so with the prices. Whenever a calamity slams a country, food scarcity is inevitable & will automatically make the prices higher. We really believe that God has called all of us to become like JOSEPH the Dreamer in our time and we hope that you will join us in PREPARING AND SHARING, not only physical food but spiritual food which is the GOOD news of God’s love and salvation to so many people. There's no limit with how many you can give! The more boxes you sponsor, the more families will benefit. The Bible said, "Whatever we sow, we shall also reap." Let us continuously sow seeds of compassion by supporting this FOOD PREPARATION Project for needy families. The Lord will be our rewarder. Proverbs 19:17 declares.."Whoever is kind to the poor lends to the LORD, and HE will reward them for what they have done."